Stika Driver SV Windows 10 (32 bit) v1.30. Zip format. Stika Driver SV Windows 8 & 8.1 (32 bit) v1.30. Zip format. Stika Driver SV Windows 8 & 8.1 (64 bit) v1.30. Zip format. [Model] : STX-7, STX-8, SX-8, SX-12, SX-15, SV-8, SV-12, SV-15 [OS] : Windows95, Windows98, WindowsMe Please follow the instruction described in "readme.txt" for installation. Stika Driver for Windows XP (32 Bit) V1.22. Zip format. This is an installer for STIKA Windows Advanced Guide (HTML). This .exe file can be unzipped and installed to your desktop. This is an installer for STIKA Windows Advanced Guide (HTML) for Macs. This .exe file can be unzipped and installed to your desktop. 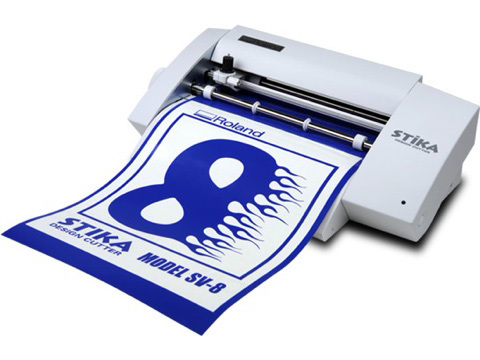 This guide (PDF) includes port testing instructions for the Roland Stika vinyl cutters. ​The cutting path start and end point are offset. I imported a BMP or JPG and it’s grayscale. What happened? Looking to upgrade your product?